At least 21 opposition parties, led by the Congress, are participating in the "Bharat Bandh" to protest the rise in fuel prices in the country and depreciation of the rupee. Bharat Bandh: Manmohan Singh urged opposition parties to unite to save democracy in the country. 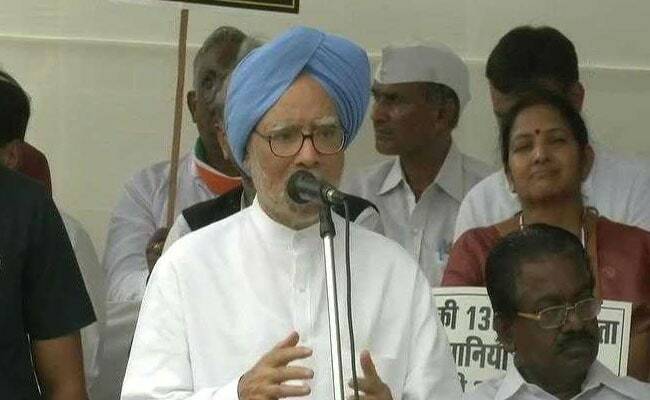 Former prime minister Manmohan Singh, participating in the opposition's "Bharat Bandh" protest today, tore into the BJP-led government, saying it has "now crossed all limits". "The Narendra Modi government has done a lot which is not in the interest of the nation and has now crossed all limits," said Manmohan Singh, adding that the government had entirely failed in supporting farmers. "We have combined to save the country's unity and peace," added Dr Singh, who led a Congress government at the centre for two straight terms until the BJP came to power in 2014. At least 21 opposition parties, led by the Congress, are participating in the "Bharat Bandh" to protest the rise in fuel prices in the country and depreciation of the rupee. The protest coincided with another slide in the rupee, which dropped to a new lifetime low of 72.44 against US dollar. Congress president Rahul Gandhi led the protests in Delhi from Mahatma Gandhi's memorial Rajghat. Dr Singh urged opposition parties to shed their differences and unite to save democracy in the country. "Political parties have left behind their old issues, they are moving forward united," said the former prime minister. Rahul Gandhi, seen in public for the first time after his return from his Kailash Mansarovar journey, offered holy water from the pilgrimage at Rajghat to set the tone for the protest. Manmohan Singh had last Friday too attacked the government on the state of the economy, especially on demonetization and jobs data. He said the job data put out by PM Modi's government were questionable. "People are not impressed with the figures that are being put out by the Modi government to justify the creation of large number of jobs," he said. 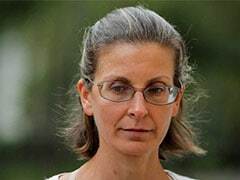 Commenting on the hostility in the neighbourhoods and also alleged attempts to curb academic freedom, Dr Singh said "All of this is a powerful indictment of the Modi government's performance."